An environmentally benign decarboxylative cyclization in water has been developed to synthesize 4-quinolones from readily available isatoic anhydrides and 1,3-dicarbonyl compounds. Isatins are also compatible for the reaction to generate 4-quinolones in the presence of TBHP in DMSO. This protocol provides excellent yields under mild conditions for a broad scope of 4-quinolones, and has good functional group tolerance. Only un-harmful carbon dioxide and water are released in this procedure. Moreover, the newly synthesized products have also been selected for anti-malarial examination against the chloroquine drug-sensitive Plasmodium falciparum 3D7 strain. 3u is found to display excellent anti-malarial activity with an IC50 value of 33 nM. 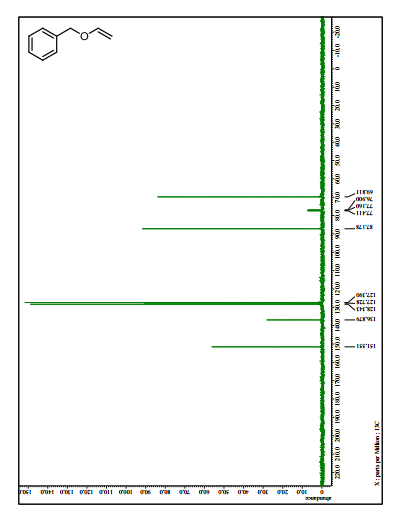 HRMS (ESI) calcd for [C25H21NO4+H]+ 400.1471, found 400.1463. Warning: Although no incidents occurred, the intermediates generated, as well as the end product, are energetic and should be handled as if they are explosive materials. It is essential that all reactions be conducted behind a blast shield and that proper protective equipment, including a face shield, be worn at all times during the operation. A new procedure for the synthesis and isolation of methyl nitroacetate is described. The previously published method required drying the explosive dipotassium salt of nitroacetic acid in a vacuum desiccator, followed by grinding this material into a fine powder with a mortar and pestle prior to esterification. To obtain the desired product, benzene was employed as the extraction solvent, sodium sulfate was used as the drying agent, and two distillations were required. The new procedure eliminates drying and grinding of the explosive dipotassium salt, employs ethyl acetate or dichloromethane as the extraction solvent, eliminates the need for a drying agent, and requires a single distillation to furnish the end product in high yield and purity. clear colorless liquid, bp 65 °C (3.9 Torr). Tdec= 251 °C (onset), 272 °C (peak). *E-mail: jesse.j.sabatini.civ@mail.mil. Phone: 410-278-0235., *E-mail: pablo.e.guzman2.civ@mail.mil. Phone: 410-278-8608. An efficient and green procedure for the synthesis of tetrazines has been developed based on an old chemistry reported by Carboni in 1958. Both symmetric and asymmetric 3,6-disubstituted 1,2,4,5-tetrazines can be obtained in moderate to high yields from the corresponding gem-difluoroalkenes under aerobic conditions at room temperature. This work represents a rare example that ambient air is utilized as an oxidant for the synthesis of tetrazines. To a solution of 1,1−difluoroalkenes (1a, 50 mg, 0.27 mmol) in N,N-dimethylformide (DMF,5 mL) was added hydrazine (80%, 35 mg, 1.35 mmol). After stirring at room temperature for 4−6 hours, saturated ammonium chloride (20 mL) was added and the reaction mixture was extracted with dichloromethane (10 mL×3). The organic layer was combined, dried with anhydrous sodium sulfate. The solvent was concentrated and the crude product was dissolved in a suspension of Ethyl Acetate(5 mL) and 10% potassium carbonate solution(wt%, 5 mL) and stirred at room temperature for 24h under air atomerspere until the organic layer turned into amaranth obviously. The organic layer was collected, dried with anhydrous sodium sulfate. The crude product was purified by flash column chromatography[silica gel(#100–200), toluene] to afford the pure 1,2,4,5−tetrazines(3a−3h). 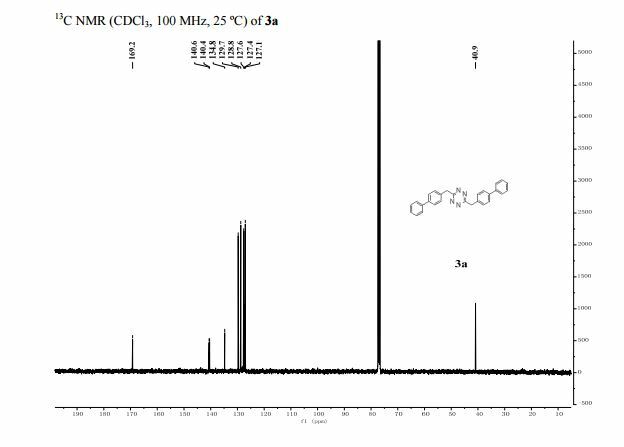 1 H NMR (400 MHz, CDCl3) 7.55−7.33 (m, 18H), 4.65 (s, 4H). HRMS (ESI): calcd. for C28H22N4 [M+H]+ 415.19172, found 415.19124. Efficient continuous Grignard and lithiation processes were developed to produce one of the key regulatory starting materials for the production of edivoxetine hydrochoride. 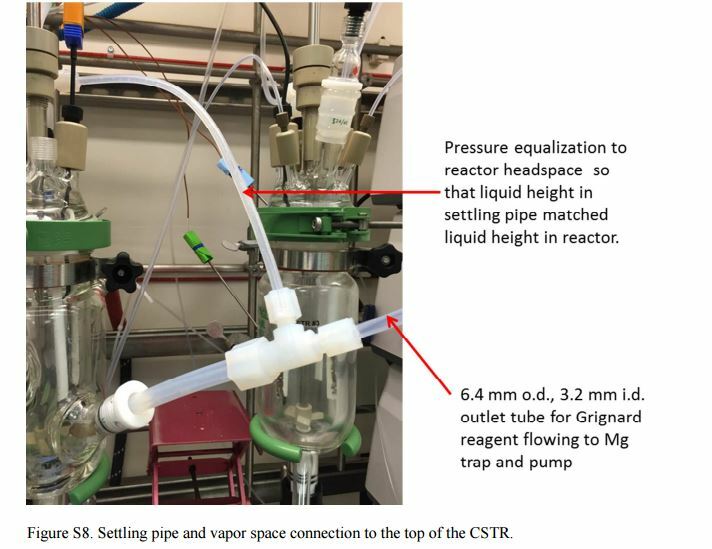 For the Grignard process, organometallic reagent formation, Bouveault formylation, reduction, and workup steps were run in continuous stirred tank reactors (CSTRs). The lithiation utilized a hybrid approach where plug flow reactors (PFRs) were used for the metal halogen exchange and Bouveault formylation steps, while the reduction and workup steps were performed in CSTRs. Relative to traditional batch processing, both approaches offer significant advantages. Both processes were high-yielding and produced the product in high purity. The two main processes were directly compared from a number of perspectives including reagent and operational safety, fouling potential, process footprint, need for manual operation, and product yield and purity. A convenient preparation of vinyl ethers from alcohols with calcium carbide was developed. This protocol is an alternative to the Favorskii-Reppe reaction without any high pressure device. Vinyl ethers are important and useful synthetic building blocks. Using a test tube with a screw cap, a convenient preparation of vinyl ethers from alcohols with calcium carbide under superbasic catalytic conditions (KOH/DMSO) was developed. The vinylation of primary and secondary alcohols was successfully achieved, affording the desired products in good yields. 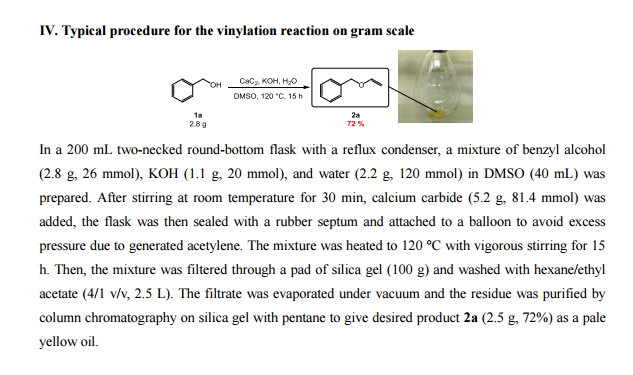 The gram-scale preparation of a vinyl ether was also demonstrated. In this reaction, calcium carbide acts as an acetylene source, constituting a safer alternative to acetylene gas. F. de Nanteuil, E. Serrano, D. Perrotta and J. Waser, J. Am. Chem. Soc., 2014, 136, 6239. Asymmetric reactions catalyzed by iron complexes have attracted considerable attention because iron is a ubiquitous, inexpensive, and environmentally benign metal. Various chiral iron complexes can be prepared from bis(oxazoline) ligands and be used in asymmetric reactions. This overview charts the development and application of chiral iron bis(oxazoline) and pyridine-2,6-bis(oxazoline) catalysts through their most prominent and innovative uses in asymmetric catalysis, especially in Lewis acid and oxidation catalysis. Asymmetric reactions catalyzed by iron complexes have attracted considerable attention because iron is a ubiquitous, inexpensive, and environmentally benign metal. This overview charts the development and application of chiral iron bis(oxazoline) and pyridine-2,6-bis(oxazoline) catalysts through their most prominent and innovative uses in asymmetric catalysis, especially in Lewis acid and oxidation catalysis. In chemistry, bis(oxazoline) ligands (often abbreviated BOX ligands) are a class of privileged chiral ligands containing two oxazoline rings. They are typically C2‑symmetric and exist in a wide variety of forms; with structures based around CH2 or pyridine linkers being particularly common (often generalised BOX and PyBOX respectively). The coordination complexes of bis(oxazoline) ligands are used extensively in asymmetric catalysis. The synthesis of oxazoline rings is well established and in general proceeded via the cyclisation of a 2‑amino alcohol with any of a number of suitable functional groups. In the case of bis(oxazoline)s, synthesis is most conveniently achieved by using bi-functional starting materials; as this allows both rings to be produced at once. Of the materials suitable, dicarboxylic or dinitrile compounds are the most commonly available and hence the majority bis(oxazoline) ligands are produced from these materials. Part of the success of the BOX and PyBOX motifs lies in their convenient one step synthesis from malononitrile and dipicolinic acid, which are commercially available at low expense. Chirality is introduced with the amino alcohols, as these are prepared from amino acids and hence are chiral (e.g. valinol). The left hand structure has a C2‑rotational axis whereas the right hand structure is asymmetric. 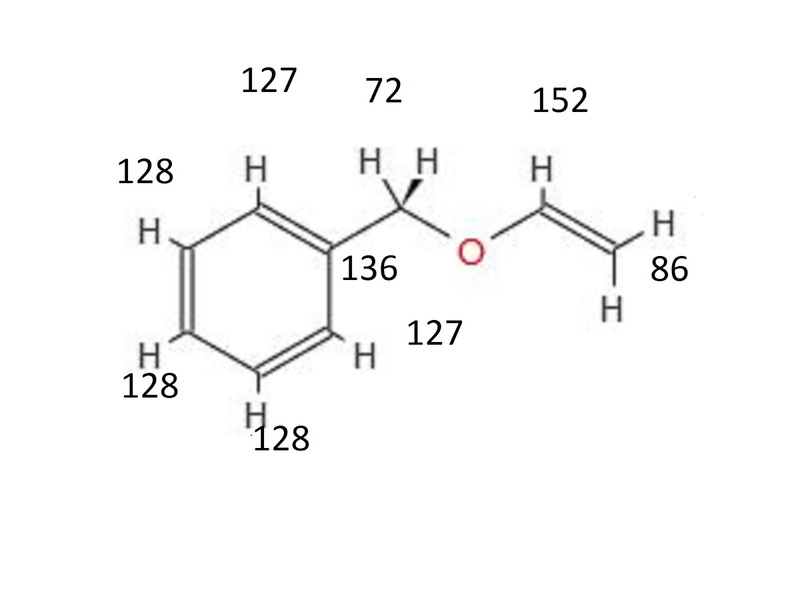 Arrows indicate the theoretical attack trajectories of reagents, identical colours lead to identical transition states (and hence products) with red arrows being disfavoured due to steric repulsion. In bis(oxazoline) complexes the metal is held close to the stereogenic centres, which will strongly influence the enantioselectivity of any process taking place there. However the C2‑symmetry of the ligand is also important in controlling this enantioselectivity. In general, for methylene bridged BOX ligands the stereochemical outcome is consistent with a twisted square planar intermediate that was proposed based on related crystal structures. The substituent at the oxazoline’s 4-position blocks one enantiotopic face of the substrate, leading to enantioselectivity. This is demonstrated in the following aldol-type reaction, but is applicable to a wide variety of reactions such as Mannich-type reactions, ene reaction, Michael addition, Nazarov cyclization, and hetero-Diels-Alder reaction. On the other hand, two-point binding on a Lewis acid bearing the meridially tridentate PyBOX ligand would result in a square pyramidal complex. A study using (benzyloxy)acetaldehyde as the electrophile showed that the stereochemical outcome is consistent with the carbonyl oxygen binding equatorially and the ether oxygen binding axially. Metal complexes incorporating bis(oxazoline) ligands are effective for an wide range of asymmetric catalytic transformations and have been the subject of numerous literature reviews. The neutral character of bis(oxazoline)s makes them well suited to use with noble metals, with copper complexes being particularly common. Their most important and commonly used applications are in carbon–carbon bond forming reactions. The success of bis(oxazoline) ligands for carbenoid cyclopropanations led to their application for aziridination. Another common reaction is hydrosilylation, which dates back to the first use of PyBOX ligands. Other niche applications include as fluorination catalysts and for Wacker-type cyclisations. Oxazoline ligands were first used for asymmetric catalysis in 1984 when Brunner et al. showed a single example, along with a number of Schiff bases, as being effective for enantioselective carbenoid cyclopropanation. Schiff bases were prominent ligands at the time, having been used by Ryōji Noyori during the discovery of asymmetric catalysis in 1968 (for which he and William S. Knowles would later be awarded the Nobel Prize in Chemistry). Brunner’s work was influenced by that of Tadatoshi Aratani, who had worked with Noyori, before publishing a number of papers on enantioselective cyclopropanation using Schiff bases. In this first usage the oxazoline ligand performed poorly, giving an ee of 4.9% compared to 65.6% from one of the Schiff base ligands. However Brunner reinvestigated oxazoline ligands during research into the monophenylation of diols, leading to the development of chiral pyridine oxazoline ligands, which achieved ee’s of 30.2% in 1986 and 45% in 1989. In the same year Pfaltz et al. 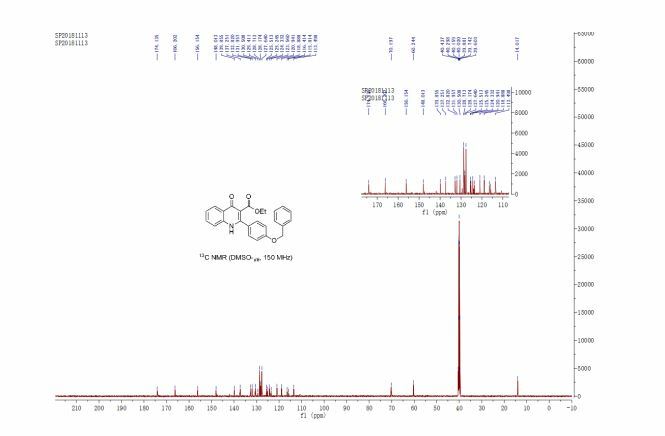 reported the use of C2‑symmetric semicorrin ligands for enantioselective carbenoid cyclopropanations, achieving impressive results with ee’s of between 92-97%. Reference was made to both Brunner’s and Aratani’s work, however the design of the ligands was also largely based on his earlier work with various macrocycles. A disadvantage of these ligands however, was that they required a multi-step synthesis with a low overall yield of approximately 30%. Brunner’s work led to the development of very first bisoxazolines by Nishiyama et al., who synthesised the first PyBox ligands in 1989. 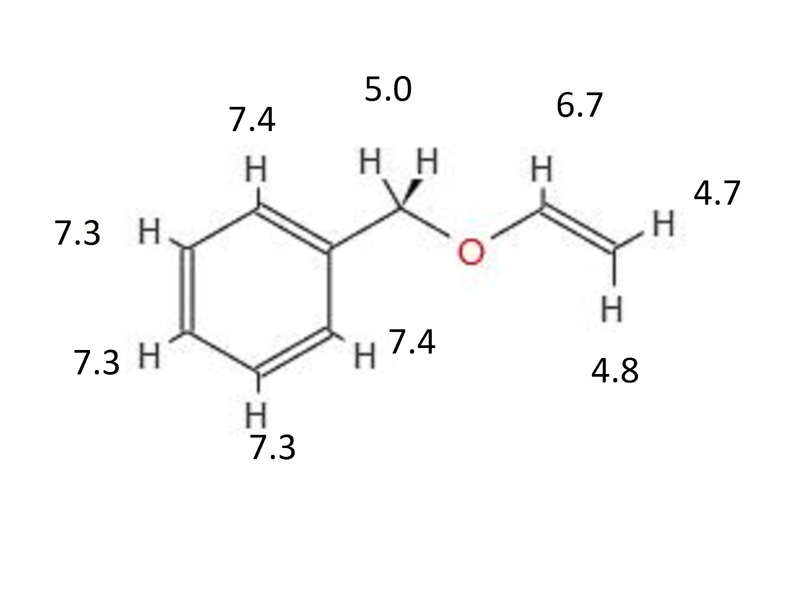 These ligands were used in the hydrosilylation of ketones; achieving ee’s of up to 93% The first BOX ligands where reported a year later by Masamune et al. and were first used in copper catalysed carbenoid cyclopropanation reactions; achieving ee’s of up to 99% with 1% molar loadings. This was a remarkable result for the time and generated significant interest in the BOX motif. As the synthesis of 2-oxazoline rings was already well established at this time (literature reviews in 1949 and 1971), research proceeded quickly, with papers from new groups being published within a year. and review articles being published by 1996. Today a considerable number of bis(oxazoline) ligands exist; structurally these are still largely based around the classic BOX and PyBOX motifs, however they also include a number of alternative structures, such as axially chiral compounds. Whitesell, James K. (1 November 1989). “C2 symmetry and asymmetric induction”. 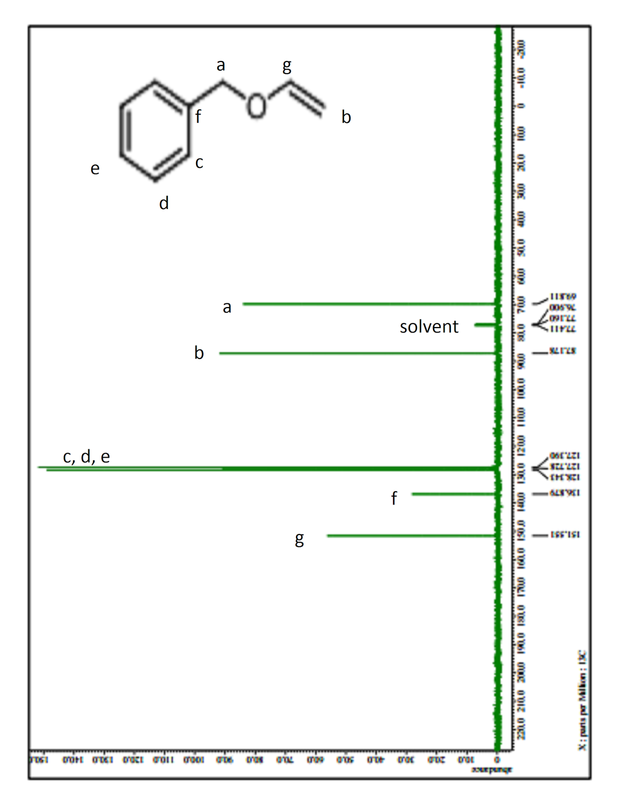 Chemical Reviews 89 (7): 1581–1590. doi:10.1021/cr00097a012. 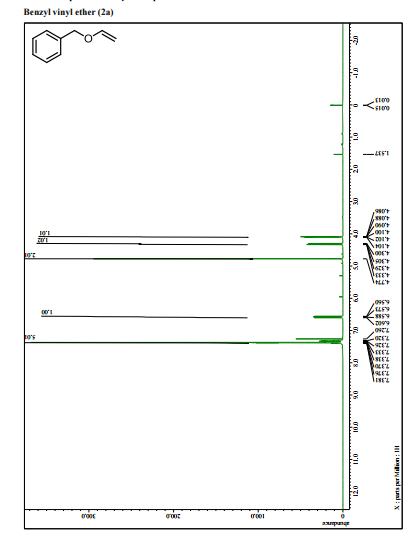 Rasappan, Ramesh; Laventine, Dominic; Reiser, Oliver (2008). “Metal-bis(oxazoline) complexes: From coordination chemistry to asymmetric catalysis”. Coordination Chemistry Reviews 252 (5-7): 702–714. doi:10.1016/j.ccr.2007.11.007. Evans, David A.; Miller, Scott J.; Lectka, Thomas; von Matt, Peter (1 August 1999). “Chiral Bis(oxazoline)copper(II) Complexes as Lewis Acid Catalysts for the Enantioselective Diels−Alder Reaction”. Journal of the American Chemical Society 121 (33): 7559–7573. doi:10.1021/ja991190k. Thorhauge, Jacob; Roberson, Mark; Hazell, Rita G.; Jørgensen, Karl Anker (15 April 2002). “On the Intermediates in Chiral Bis(oxazoline)copper(II)-Catalyzed Enantioselective Reactions—Experimental and Theoretical Investigations”. Chemistry – A European Journal 8 (8): 1888. doi:10.1002/1521-3765(20020415)8:8<1888::AID-CHEM1888>3.0.CO;2-9. Evans, David A.; Burgey, Christopher S.; Kozlowski, Marisa C.; Tregay, Steven W. (1 February 1999). “-Symmetric Copper(II) Complexes as Chiral Lewis Acids. Scope and Mechanism of the Catalytic Enantioselective Aldol Additions of Enolsilanes to Pyruvate Esters”. Journal of the American Chemical Society 121 (4): 686–699. doi:10.1021/ja982983u. Marigo, Mauro; Kjærsgaard, Anne; Juhl, Karsten; Gathergood, Nicholas; Jørgensen, Karl Anker (23 May 2003). “Direct Catalytic Asymmetric Mannich Reactions of Malonates and -Keto Esters”. Chemistry – A European Journal 9 (10): 2359–2367. doi:10.1002/chem.200204679. Evans, David A.; Burgey, Christopher S.; Paras, Nick A.; Vojkovsky, Tomas; Tregay, Steven W. (1 June 1998). “C2-Symmetric Copper(II) Complexes as Chiral Lewis Acids. Enantioselective Catalysis of the Glyoxylate−Ene Reaction”. Journal of the American Chemical Society 120 (23): 5824–5825. doi:10.1021/ja980549m. Evans, David A.; Willis, Michael C.; Johnston, Jeffrey N. (1 September 1999). “Catalytic Enantioselective Michael Additions to Unsaturated Ester Derivatives Using Chiral Copper(II) Lewis Acid Complexes”. Organic Letters 1 (6): 865–868. doi:10.1021/ol9901570. PMID 10823215. Aggarwal, Varinder K.; Belfield, Andrew J. (1 December 2003). “Catalytic Asymmetric Nazarov Reactions Promoted by Chiral Lewis Acid Complexes”. Organic Letters 5 (26): 5075–5078. doi:10.1021/ol036133h. PMID 14682768. Yao, Sulan; Johannsen, Mogens; Audrain, Hélène; Hazell, Rita G.; Jørgensen, Karl Anker (1 September 1998). “Catalytic Asymmetric Hetero-Diels−Alder Reactions of Ketones: Chemzymatic Reactions”. Journal of the American Chemical Society 120 (34): 8599–8605. doi:10.1021/ja981710w. Evans, David A.; Kozlowski, Marisa C.; Murry, Jerry A.; Burgey, Christopher S.; Campos, Kevin R.; Connell, Brian T.; Staples, Richard J. (1 February 1999). “C2-Symmetric Copper(II) Complexes as Chiral Lewis Acids. Scope and Mechanism of Catalytic Enantioselective Aldol Additions of Enolsilanes to (Benzyloxy)acetaldehyde”. Journal of the American Chemical Society 121 (4): 669–685. doi:10.1021/ja9829822. Ghosh, Arun K.; Mathivanan, Packiarajan; Cappiello, John (1998). “C2-Symmetric chiral bis(oxazoline)–metal complexes in catalytic asymmetric synthesis”. Tetrahedron: Asymmetry 9 (1): 1–45. doi:10.1016/S0957-4166(97)00593-4. Johnson, Jeffrey S.; Evans, David A. (1 June 2000). “Chiral Bis(oxazoline) Copper(II) Complexes: Versatile Catalysts for Enantioselective Cycloaddition, Aldol, Michael, and Carbonyl Ene Reactions”. Accounts of Chemical Research 33 (6): 325–335. doi:10.1021/ar960062n. PMID 10891050. Desimoni, Giovanni; Faita, Giuseppe; Jørgensen, Karl Anker (9 November 2011). “Update 1 of: C2-Symmetric Chiral Bis(oxazoline) Ligands in Asymmetric Catalysis”. Chemical Reviews 111 (11): PR284–PR437. doi:10.1021/cr100339a. Lowenthal, Richard E; Abiko, Atsushi; Masamune, Satoru (1990). “Asymmetric catalytic cyclopropanation of olefins: bis-oxazoline copper complexes”. Tetrahedron Letters 31 (42): 6005–6008. doi:10.1016/S0040-4039(00)98014-6. Evans, David A.; MacMillan, David W. C.; Campos, Kevin R. (1 November 1997). “-Symmetric Tin(II) Complexes as Chiral Lewis Acids. Catalytic Enantioselective Anti Aldol Additions of Enolsilanes to Glyoxylate and Pyruvate Esters”. Journal of the American Chemical Society 119 (44): 10859–10860. doi:10.1021/ja972547s. Aggarwal, Varinder K.; Anderson, Emma S.; Elfyn Jones, D.; Obierey, Kerstin B.; Giles, Robert (1 January 1998). “Catalytic asymmetric Diels–Alder reactions of α-thioacrylates for the preparation of norbornenone”. Chemical Communications (18): 1985–1986. doi:10.1039/a805366i. Nishiyama, Hisao. ; Sakaguchi, Hisao. ; Nakamura, Takashi. ; Horihata, Mihoko. ; Kondo, Manabu. ; Itoh, Kenji. (1 March 1989). “Chiral and C2-symmetrical bis(oxazolinylpyridine)rhodium(III) complexes: effective catalysts for asymmetric hydrosilylation of ketones”. Organometallics 8 (3): 846–848. doi:10.1021/om00105a047. Ma, Jun-An; Cahard, Dominique (2004). “Copper(II) triflate-bis(oxazoline)-catalysed enantioselective electrophilic fluorination of β-ketoesters”. Tetrahedron: Asymmetry 15 (6): 1007–1011. doi:10.1016/j.tetasy.2004.01.014. Uozumi, Yasuhiro; Kyota, Hirokazu; Kato, Kazuhiko; Ogasawara, Masamichi; Hayashi, Tamio (1 March 1999). “Design and Preparation of 3,3‘-Disubstituted 2,2‘-Bis(oxazolyl)-1,1‘-binaphthyls (boxax): New Chiral Bis(oxazoline) Ligands for Catalytic Asymmetric Wacker-Type Cyclization”. The Journal of Organic Chemistry 64 (5): 1620–1625. doi:10.1021/jo982104m. Brunner, Henri; Miehling, Wolfgang (1 October 1984). “Enantioselektive Cyclopropanierung von 1,1-Diphenylethylen und Diazoessigester mit Kupfer-Katalysatoren”. Monatshefte für Chemie – Chemical Monthly 115 (10): 1237–1254. doi:10.1007/BF00809355. Nozaki, H.; Takaya, H.; Moriuti, S.; Noyori, R. (1968). “Homogeneous catalysis in the decomposition of diazo compounds by copper chelates”. Tetrahedron 24 (9): 3655–3669. doi:10.1016/S0040-4020(01)91998-2. Nozaki, H.; Aratani, T.; Toraya, T.; Noyori, R. (1971). “Asymmetric syntheses by means of (−)-sparteine modified organometallic reagents”. Tetrahedron 27 (5): 905–913. doi:10.1016/S0040-4020(01)92490-1. Aratani, T.; Yoneyoshi, Y.; Nagase, T. (1975). “Asymmetric synthesis of chrysanthemic acid. An application of copper carbenoid reaction”. Tetrahedron Letters 16 (21): 1707–1710. doi:10.1016/S0040-4039(00)72239-8. Aratani, T.; Yoneyoshi, Y.; Nagase, T. (1977). “Asymmetric synthesis of chrysanthemic acid. An application of copper carbenoid reaction”. Tetrahedron Letters 18 (30): 2599–2602. doi:10.1016/S0040-4039(01)83830-2. Aratani, Tadatoshi; Yoneyoshi, Yukio; Nagase, Tsuneyuki (1982). “Asymmetric synthesis of permethric acid. stereochemistry of chiral copper carbenoid reaction”. Tetrahedron Letters 23 (6): 685–688. doi:10.1016/S0040-4039(00)86922-1. Brunner, Henri; Obermann, Uwe; Wimmer, Peter (1 November 1986). “Asymmetrische katalysen”. 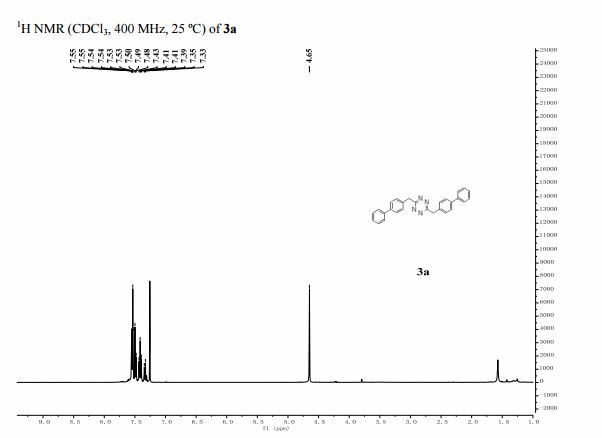 Journal of Organometallic Chemistry 316 (1-2): C1–C3. doi:10.1016/0022-328X(86)82093-9. Brunner, Henri. ; Obermann, Uwe. ; Wimmer, Peter. (1 March 1989). “Asymmetric catalysis. 44. Enantioselective monophenylation of diols with cupric acetate/pyridinyloxazoline catalysts”. Organometallics 8 (3): 821–826. doi:10.1021/om00105a039. Fritschi, Hugo; Leutenegger, Urs; Pfaltz, Andreas (1 November 1986). “Chiral Copper-Semicorrin Complexes as Enantioselective Catalysts for the Cyclopropanation of Olefins by Diazo Compounds”. Angewandte Chemie International Edition in English 25 (11): 1005–1006. doi:10.1002/anie.198610051. Pfaltz, Andreas (1999). 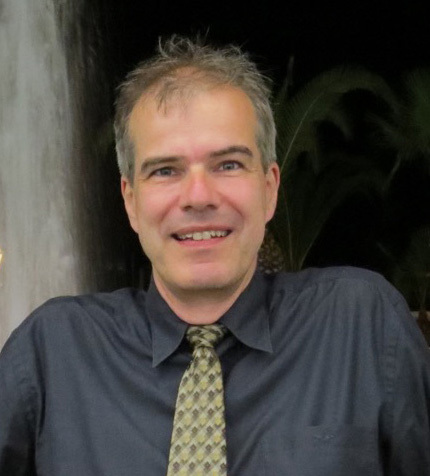 “From Corrin Chemistry to Asymmetric Catalysis – A Personal Account”. Synlett (S1): 835–842. doi:10.1055/s-1999-3122. Wiley, Richard H.; Bennett, Leonard L. “The Chemistry of the Oxazolines.”. Chemical Reviews 44 (3): 447–476. doi:10.1021/cr60139a002. Frump, John A. “Oxazolines. Their preparation, reactions, and applications”. Chemical Reviews 71 (5): 483–505. doi:10.1021/cr60273a003. Evans, David A.; Woerpel, Keith A.; Hinman, Mira M.; Faul, Margaret M. (1 January 1991). “Bis(oxazolines) as chiral ligands in metal-catalyzed asymmetric reactions. Catalytic, asymmetric cyclopropanation of olefins”. Journal of the American Chemical Society 113 (2): 726–728. doi:10.1021/ja00002a080. Corey, E. J.; Imai, Nobuyuki; Zhang, Hong Yue (1 January 1991). “Designed catalyst for enantioselective Diels-Alder addition from a C2-symmetric chiral bis(oxazoline)-iron(III) complex”. Journal of the American Chemical Society 113 (2): 728–729. doi:10.1021/ja00002a081. Pfaltz, Andreas; Adolfsson, Hans; Wärnmark, Kenneth; Aasbø, Kari; Klinga, Martti; Romerosa, Antonio (1 January 1996). “Design of Chiral Ligands for Asymmetric Catalysis: from C2-Symmetric Semicorrins and Bisoxazolines to Non-Symmetric Phosphinooxazolines.” (PDF). Acta Chemica Scandinavica 50: 189–194. doi:10.3891/acta.chem.scand.50-0189. Gant, Thomas G.; Noe, Mark C.; Corey, E.J. (1 November 1995). “The first enantioselective synthesis of the chemotactic factor sirenin by an intramolecular [2 + 1] cyclization using a new chiral catalyst”. Tetrahedron Letters 36 (48): 8745–8748. doi:10.1016/0040-4039(95)01924-7. Ohta, Tetsuo; Ito, Junji; Hori, Kazushige; Kodama, Hidehiko; Furukawa, Isao (2000). “Lanthanide-catalyzed asymmetric 1,3-dipolar cycloaddition of nitrones to alkenes using 3,3′-bis(2-oxazolyl)-1,1′-bi-2-naphthol (BINOL-Box) ligands”. Journal of Organometallic Chemistry 603 (1): 6–12. doi:10.1016/S0022-328X(00)00024-3. Aza-bis(oxazolines) are introduced as chiral ligands for asymmetric catalysis combining the advantages of easy availability of bis(oxazolines) and backbone variability of aza-semicorrins. Especially, the title ligands could be attached to a polymeric support, which allowed the development of easily recoverable copper(I)-catalysts for asymmetric cyclopropanation reactions. Aza(bisoxazoline) ligands were attached to various polymeric supports and the resulting immobilized ligands were evaluated in copper(I)-catalyzed asymmetric cyclopropanations. The efficiency of these transformations depends greatly on the polymeric support, on the protocol being applied for the immobilization of the ligands, and on the preparation of the catalysts. Racemic 1,2-diols and a-hydroxy carbonyl compounds can be asymmetrically benzoylated in a kinetic resolution in the presence of various Cu(II)-azabis(oxazoline) catalysts. A novel bisbenzyl substituted aza(bisoxazoline) ligand proved to be especially effective when immobilized on MeOPEG5000, giving 91 – ≥99% ee in 37 – 49% yield for each of five sequential reactions. A straightforward synthesis of chiral aza-bis(oxazoline) (Azabox) ligands from commercial available aminoalcohols is described. 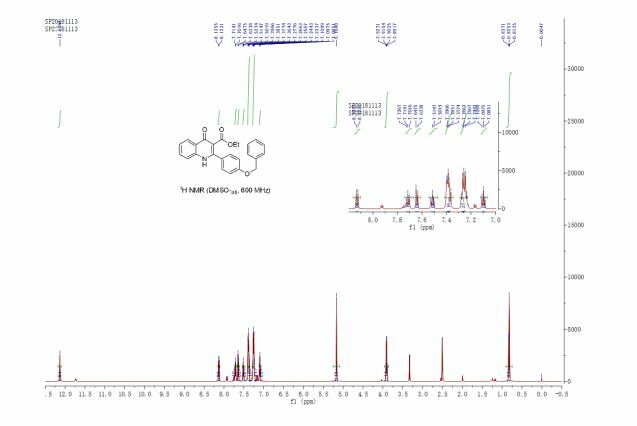 The new protocol allows access to previously reported Azabox ligands in considerably improved yields but also to new derivatives, including non C2-symmetrical ones.